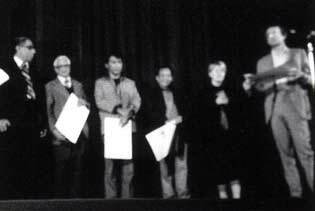 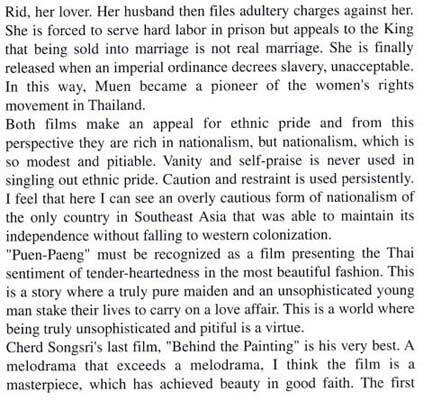 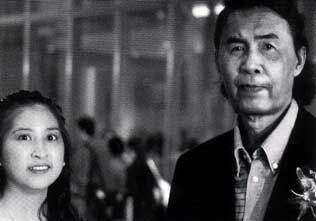 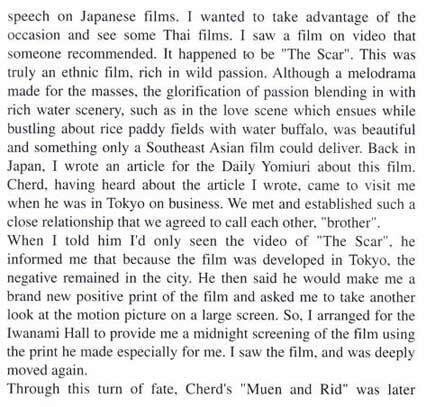 Tadao Sato is a wellknown Japanese film critic and was the first foreigner who introduced Cherd's work The Scar to foreign audiences, during his short trip to Bangkok in 1978. 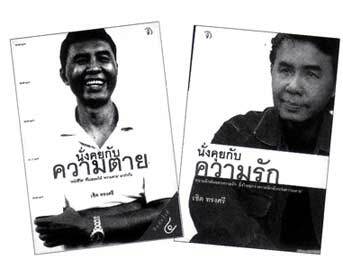 The two developed such a close relationship that they called each other "Brother." 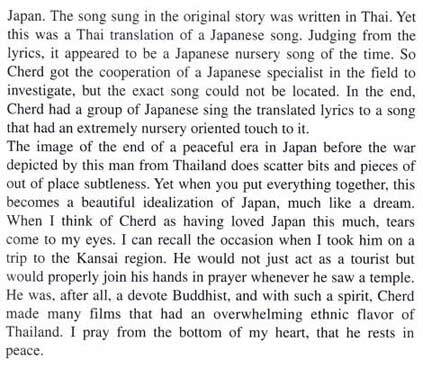 Nobody can write about Cherd and his works better than Mr. Sato. 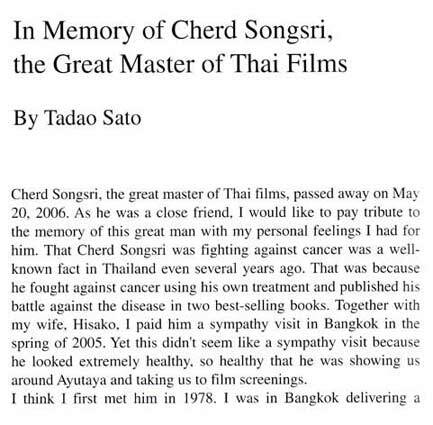 In paying homage to his brother's works, Mr Sato wrote this wonderful piece full of personal memory and critical insights. 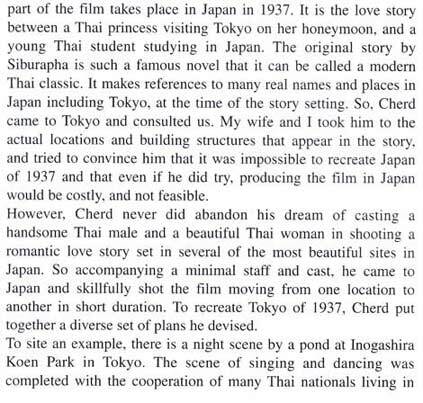 The article was published in 2006 Fukuoka International Film Festival's catalogue where Cherd's works were compiled for the Reprospective. 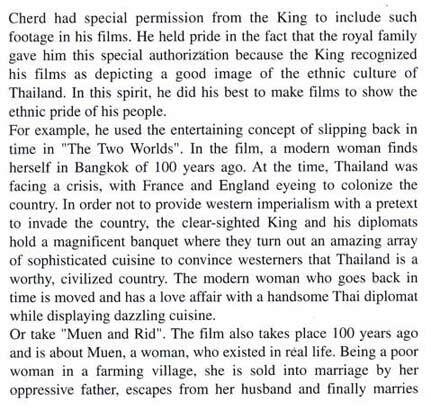 Thaicinema.org would like to thank you both Mr. Sato and the Festival to give permission for this re-print. 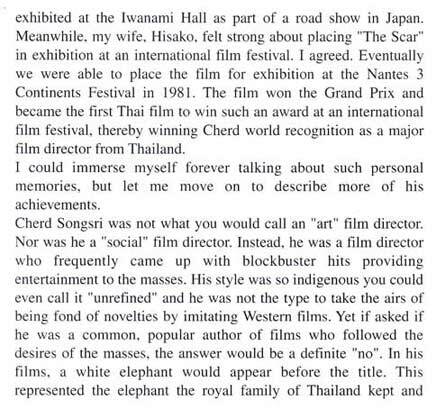 Any future links or uses of this article, please give full credits to the writer and Fukuoka International Film Festival. 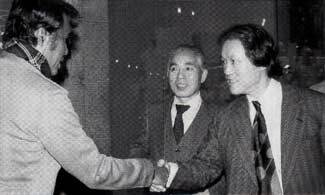 Thanks Miwa Takasugi for helping the coordination.